Thinking to leave your ongoing game when there's an urgent matter? Leave no more, you can now do AFK (Away From Keyboard) Gaming with GeForce GTX G-Assist, the first artificial intelligence gaming assistant by Nvidia. GeForce GTX G-Assist promotional label 'Plug in, Game On' was the main instruction on how to use it. You just need to plug it in to your Nvidia graphics enabled desktop or laptop, customize the settings then bring the game on. Over 10,080 Nvidia supported games are compatible with GeForce GTX G-Assist. 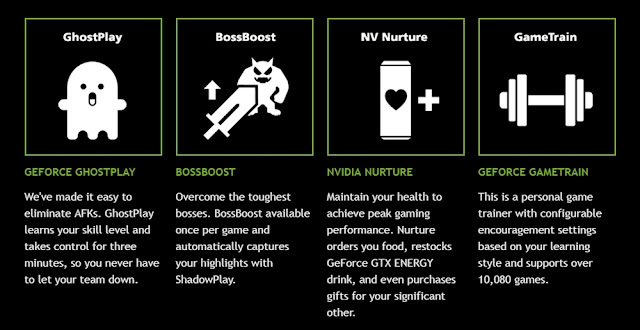 You can now all do the following with GeForce GTX-G Assist: Eliminate AFKs; Overcome the toughest boss battles; Monitor and maintain your peak gaming performance. 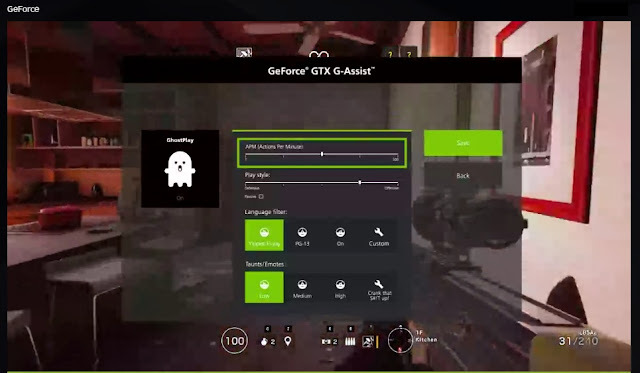 Ghostplay - With Ghostplay feature, you can leave your game for 3 minutes and let GeForce GTX G-Assist do the gaming. Just customize Ghostplay Settings including APM (Action Per Minute) from 1 to 500, Play style which can be defensive or offensive style, Language Filter and Taunts/Emotes. BossBoost - Can't beat a boss in your game? 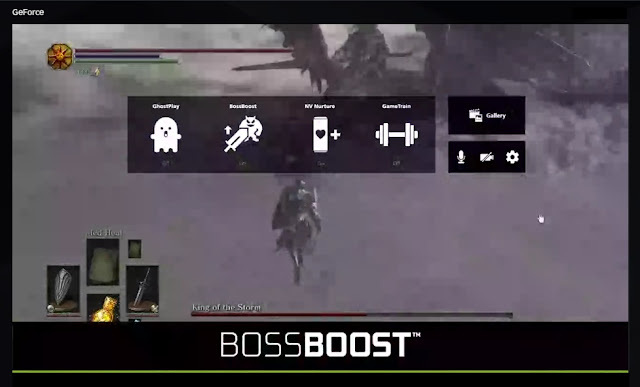 With BossBoost, it can be a great help for you to defeat a boss for once and achieve your desired victory. 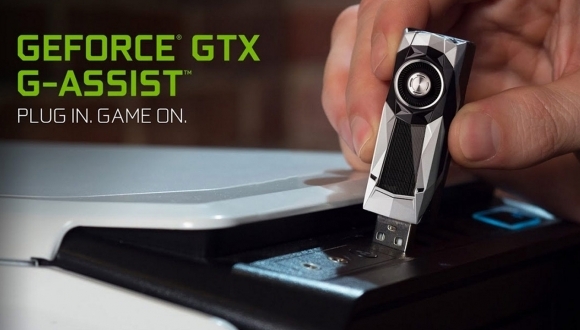 To know more about GeForce GTX G-Assist, visit GeForce GTX G-Assist website. But wait there's more. After you've read all of this, you might think all of these are real but it's not. It's an April Fool's day surprise from Nvidia, haha!